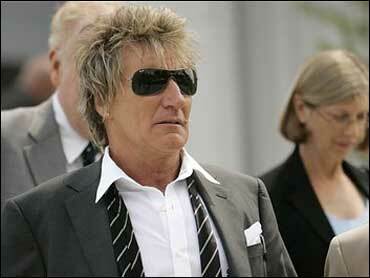 A federal judge has ordered singer Rod Stewart to pay a Las Vegas casino more than $3 million for a canceled show in December 2000. U.S. District Judge Larry Hicks ordered the British rocker's lawyers to pay an additional $153,483 in contempt-of-court sanctions and legal costs for failing to turn over information to lawyers for Harrah's Entertainment before trial last year. Stewart's lawyer, Louis "Skip" Miller in Los Angeles, declined comment Monday on the sanctions. Miller said Stewart intends to appeal the verdict and jury award. Hicks' judicial order, dated Friday, puts Stewart on the hook for $3.06 million, including the $2 million advance he was paid by the Rio hotel-casino and more than $1 million in interest, penalties and attorney fees. Stewart and his lawyers are jointly responsible for paying the sanctions. Harrah's lawyer Kristina Pickering in Las Vegas called the civil breach-of-contract judgment "the right result" and "a long time coming." The casino company intends to ask the court to order Stewart to reimburse it for additional attorney fees and court costs, Pickering said. The judgment resulted from a Sept. 7 federal jury finding that Stewart should not have kept an advance he received for the 2000 New Year's weekend show that he said he was unable to perform because of throat surgery several months earlier.